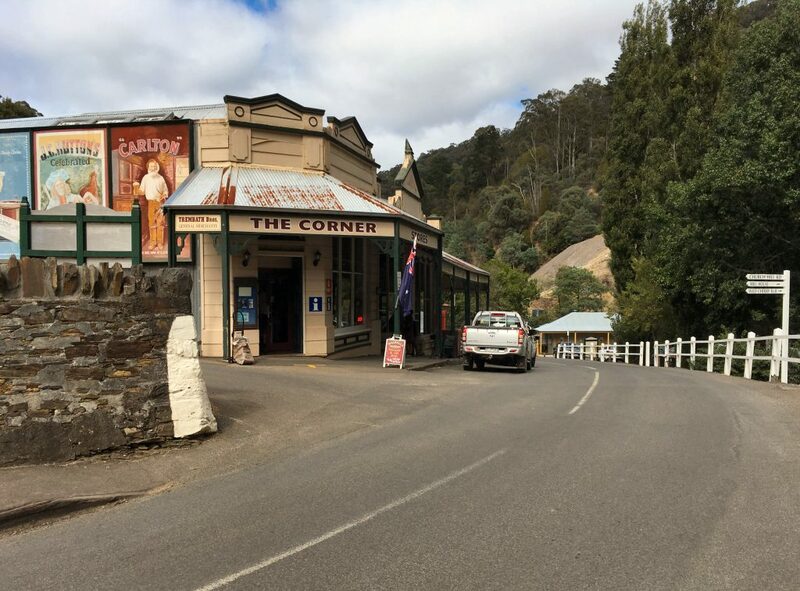 The 1860s gold mining town of Walhalla took its name from an early gold mine established on the site, which in turn took its name from the Walhalla Memorial in Germany (a literal German Hall of Fame covering the years 9AD–present, with a brief interlude from 1939-1945 for unspecified reasons), which in turn took its name from the mythical Valhalla of Norse mythology—a giant party hall where 50% of dead warriors get to hang out with the god Odin and his goat. “Walhalla” just doesn’t have a very “Valhalla” ring to it. And so it shouldn’t! Rather than conjuring up images of Germanic heroes and mythical beasts, the word “Walhalla” brings to mind an old gold miner stumbling out of a rickety pub, pissed as a parrot and trying to greet everyone he sees. 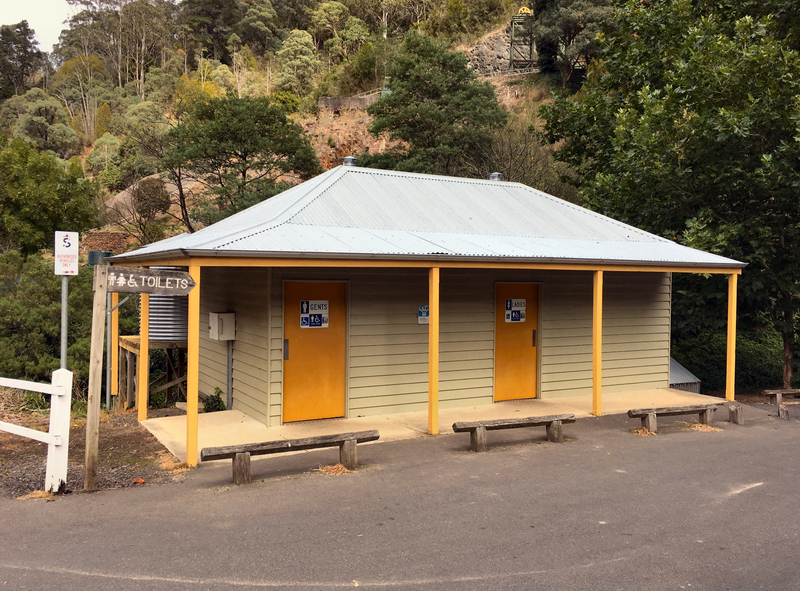 These days it’s more lolly shops than rubbity dubs, but the Walhalla public toilet manages to carry on the drown-your-sorrows vibe with its architectural resemblance to a bush pub. 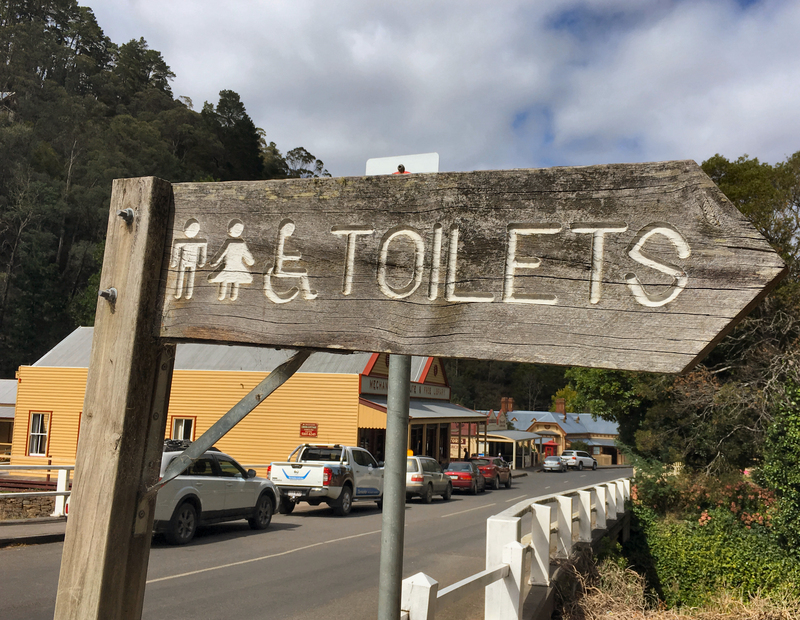 It’s the sort of building that would be at home with “DUNNY” painted on the tin roof in big block letters, some utes out front, and a few blokes sitting on the verandah. 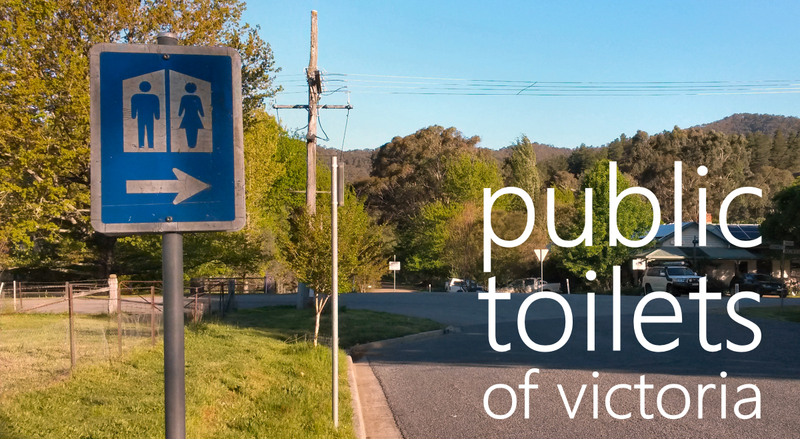 Just a friendly reminder however that this is not a pub and it’s probably best not to loiter out front, unless of course you are taking pictures for a photographic blog about public toilets, which is a watertight excuse that nobody will ever have any problems accepting.